It was a beautiful sunset that I was watching from my office window and spontaneously decided to go and see what the horizon looked like from Market Square. 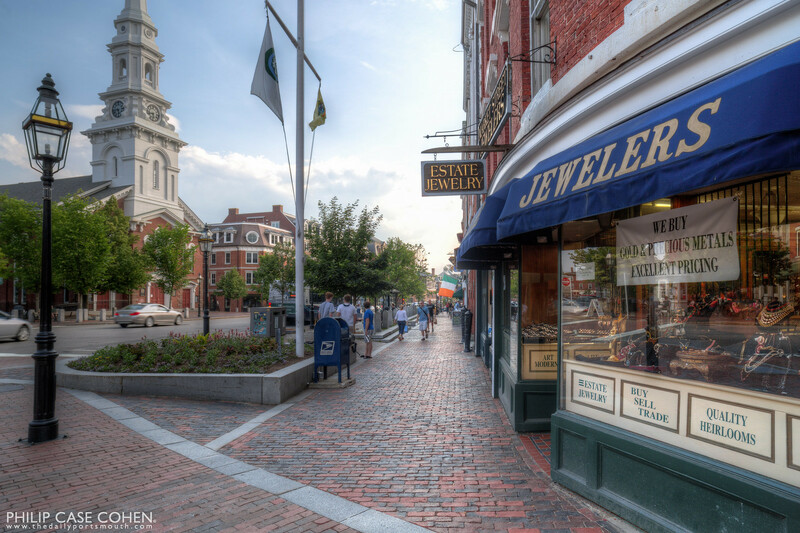 In this wide angle shot you can see the Portsmouth Athenaeum, the North Church and its iconic steeple, and the glow of sunset down the corridor of Congress Street in the distance. 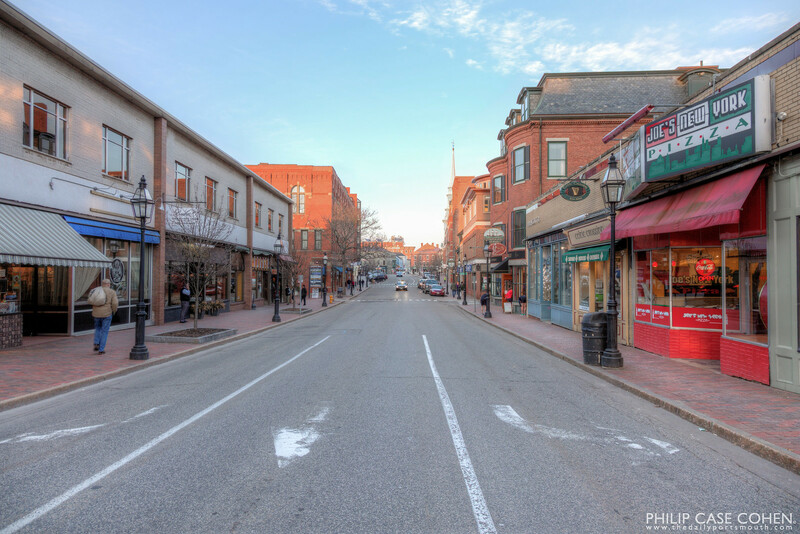 Summer in the seacoast is a beautiful thing – people come from all over to visit and the energy in the downtown increases significantly. A trio of kids were playing great music and the late day light in Market Square made for a beautiful scene. Up The Road | A Congress Street Vista. The rhythm of the buildings that line Congress Street have such inviting lines. 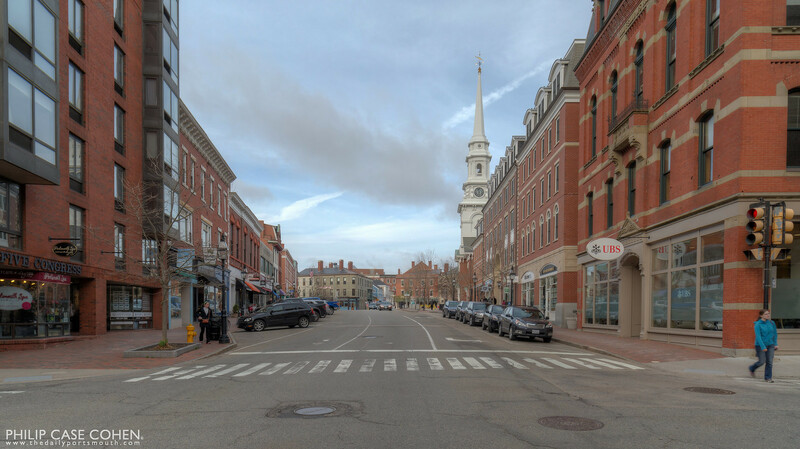 When you’re in Market Square, it’s not that evident that the street slopes downward and that the rooflines follow this rhythm – but from the Fleet Street intersection it’s an entirely different scene. A late spring evening on Congress Street. 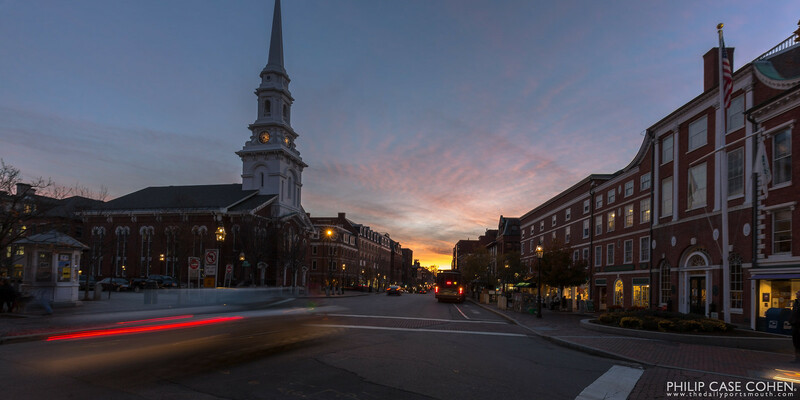 The day’s last light illuminates the North Church and the Franklin Block building while the streetscape lays in the shadows. On a foggy evening in Market Square, I decided to take advantage of dry weather and the moody winter landscape. 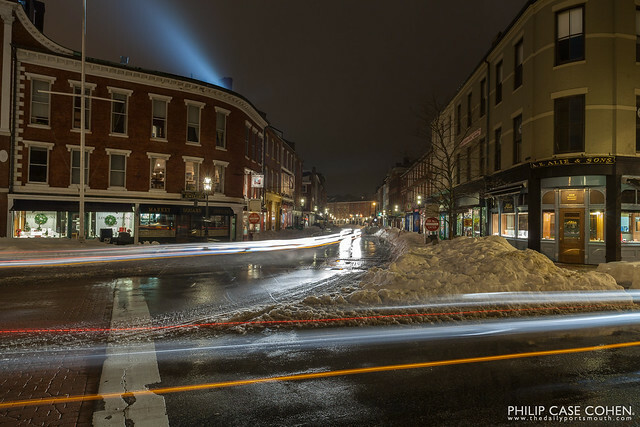 The lighting allowed for long exposures and the street traffic brought the scene to a whole new level – as the headlights accentuated the curves in the buildings and the streets. A fresh snowfall covers the sidewalks and the rooftops in Market Square on a dreary morning. 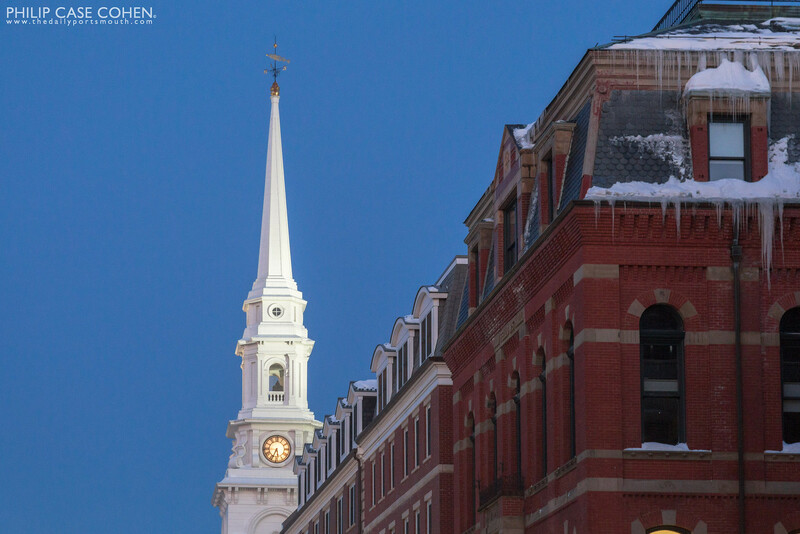 The North Church and the Athenaeum make for great focal points in this historic streetscape.